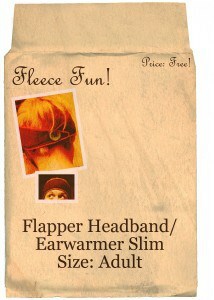 You can make a beautiful headband that is stylish and warm! Print up the pattern (you can get assembly instructions here)Cut out pattern piece. Add fusible interfacing to one end of the band (this will be the button hole side). I skipped this step yesterday and I regret it – trust me to keep your band nice it’s worth taking the time to do this step. 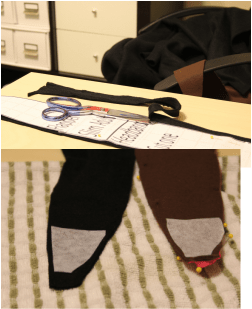 2 – Begin to sew! Turn edges under a half inch. Pin. Using a .25 seam and straight stitch around the band. 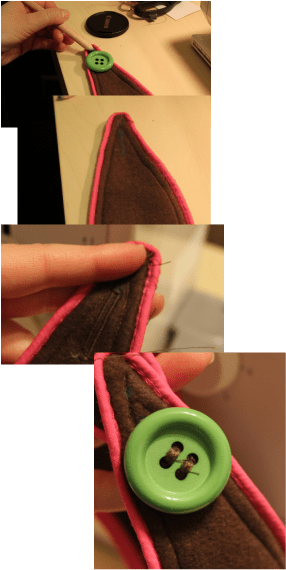 For Plain Jane variation pin cording to right side of fabric, using zipper foot sew as close to cording as possible with straight stitch. If this band is for you. I suggest wrapping it around your head so you can get the placement of the button hole just right. 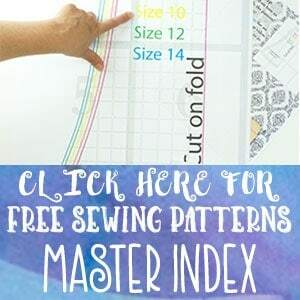 If you are making this for a friend I recommend making two button holes so there is some play with the sizing. At the end of the band where you added the interfacing, using the button as a guide mark the top and bottom of the button. Draw a straight line between the dots (this will help you make a neater box). 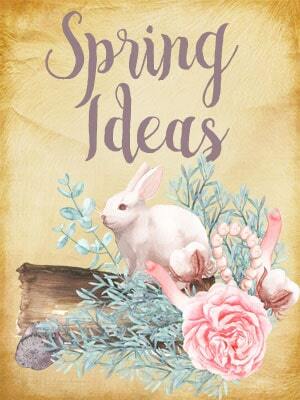 Today I got enough sleep so I am up for making a button hole.Which I recommend. Alternate: Just make a small box using your guides with a zigzag stitch. Snip a slit in your box. 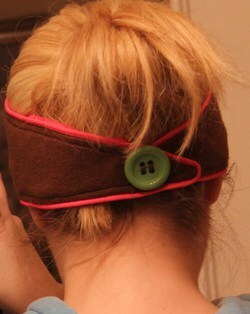 Sew the button to the other side of the headband and your done!